I don’t own a razor stand. 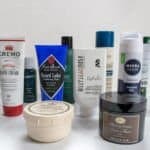 While I use a cartridge razor when shaving my head and a safety razor for my face, once I am done, I store the razor in my medicine cabinet. Only just recently I discovered why this is a problem. 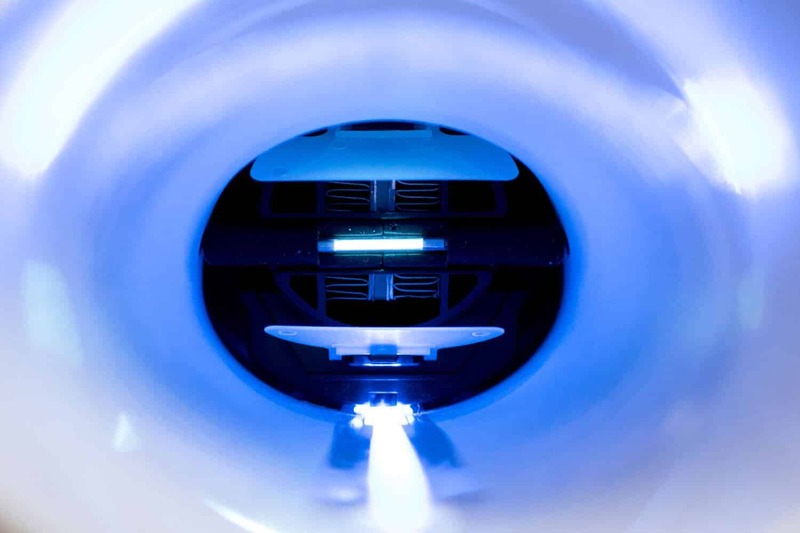 While the razor blade edge may get worn with regular use, no surprise here, there is a larger reason why your blade is getting duller and less effective – oxidation. Without getting too ‘science-y’, here’s the gist of it – water and metal generally don’t play well together. 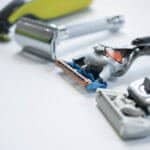 Water resting on the blades of your beloved cartridge or safety razor will begin to breakdown the structural integrity of the metal and ultimately lead to rust build up, particularly along the crevices and joints of the metal. This not only is considered to be not safe (tetanus shot anyone? ), but it also can lead to severe discomfort and irritation when using a razor that has been around the block a few times. 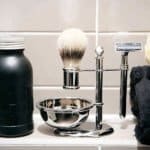 A revolutionary new razor dryer that kicks all the excess water buildup from your beloved cartridge or safety razor once you are done shaving – it also acts as a sleek razor stand as well. 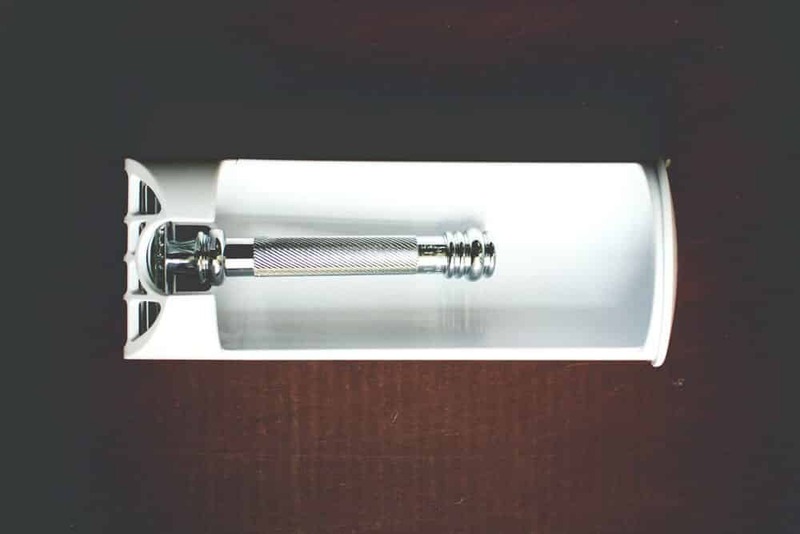 With its minimal Apple-esq design profile, this razor dryer will be an upgrade to your bathroom counter top. 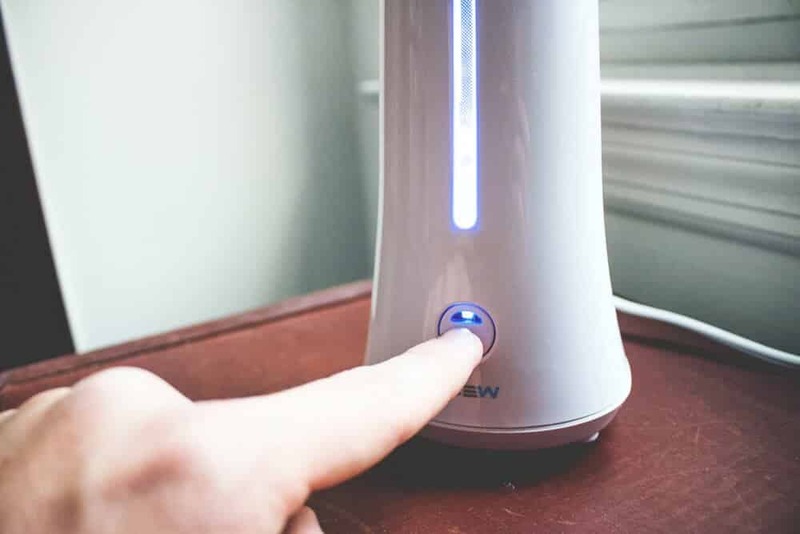 So, how exactly does BLEW work? 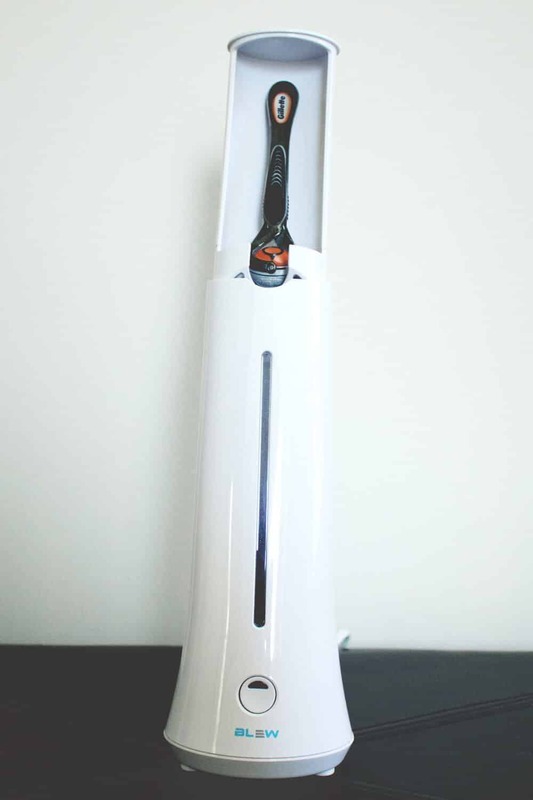 Think of it as a dedicated hair dryer for your razor. Word of note: When using a cartridge razor, be sure to flick away excess water before you drop it into BLEW otherwise it might not fully dry your razor head. This ensures that rust and oxidization will never settle into your blade. 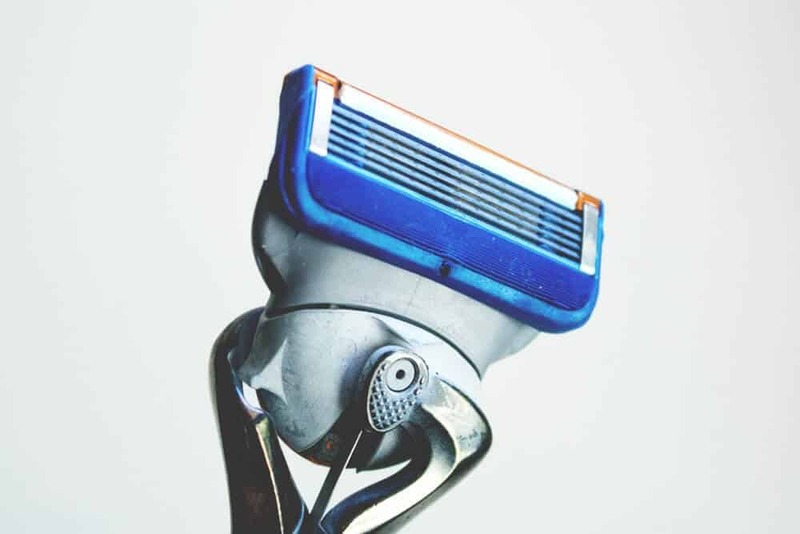 Using BLEW can extend the life of your beloved razor up to 12 months, which is a huge leap from the typical 1-3 weeks that a razor usually lasts. 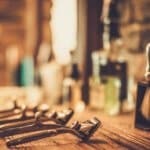 So if you are a member of shave subscription services like Dollar Shave Club or Harry’s, you may be able lower your delivery rate to ensure even more savings. 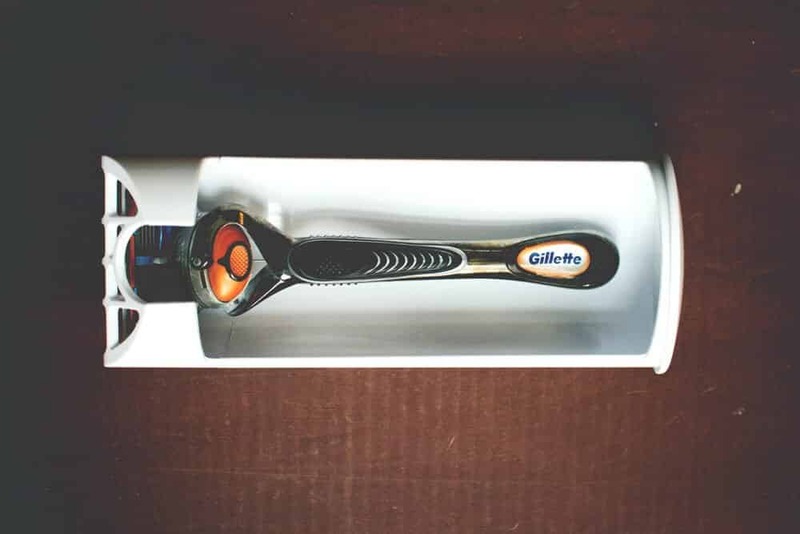 BLEW fits 99% of all razors out on the market, meaning even the cheap, dollar store razors get a new lease on life. As you can see in the pictures of this article, we tested both a standard Gillette cartridge razor along with a Merkur 38C safety razor. While the Merkur was a bit more snug due to the large razor head, we were still able to fit it into BLEW’s razor chamber. 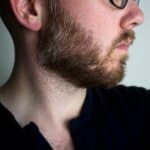 While spending $60 on a new fancy razor dryer might not seem worth it. 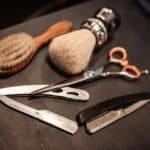 Consider this: the average American spends roughly $200+ on razors and razor blades per year, and according to the EPA, over 2 billion razors are thrown away every year. This is partly due to the short lifespan of your average razor, at about 2 – 3 weeks, or roughly 14 uses depending on the brand used. 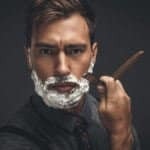 For just $60, you get about 12 months use out of a single razor. That means, per year, you save $140. It’s no retirement fund, but it’s definitely not small change either. Final Thoughts: BLEW is an effective way to prolong the life of your razor blades significantly. It’s ability to also act as a razor stand is welcomed as well. Disclaimer: ToiletTree sent me this product to test out, I was not compensated for this review.